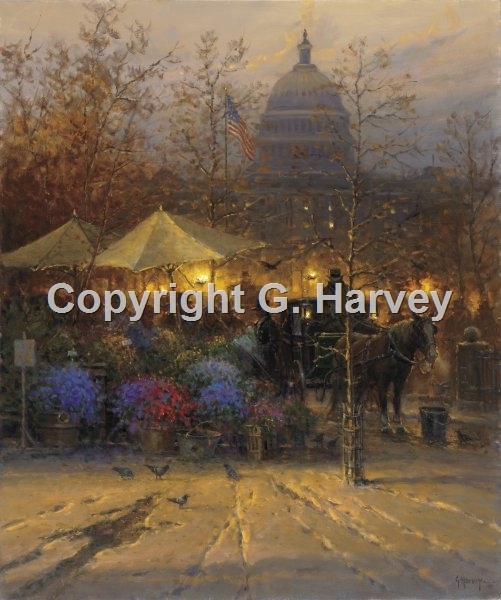 Among G. Harvey's most popular images are those of Washington, D.C. The expanse of Pennsylvania Avenue with the Capitol silhouetted at its end and the hustle-bustle of one of the most beautiful cities in the country, make this piece particularly appealing. Flower vendors and pedestrians crowd the sidewalks and the casual tourist can enjoy it all.